Please enjoy one glass of sangria at a time. Don’t worry, there is plenty more where that came from! 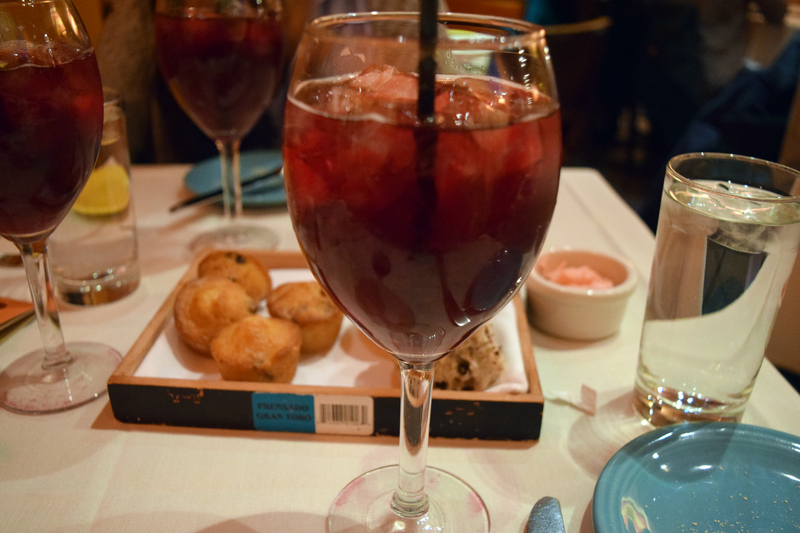 Complimentary sangria is served during the course of your meal, not forever (unfortunately!). If that last bite of burrito has been sitting on your plate for 3 hours, you’re kind of toeing the line of “forever”. If one person gets cut off, so does the rest of your table. So please ask your boyfriend to save his awesome tabletop dancing skills for another day. Sangria is served in 20oz glasses, so don’t be sad if you don’t get to all the flavors. We still think you’re a champ! No sangria is allowed outside the restaurant. Please don’t forget your children here. We WILL put them to work. We encourage our guests to enjoy a fun, leisurely sangria brunch, but please also be mindful of our additional reservations. Your fellow brunchers would also like to enjoy the sangria (and perhaps a bite to eat). I’ve been to Calle Ocho four weeks in a row. I’ve ordered the same thing at Calle Ocho four weeks in a row. I’ve been more than happy with my food, drink, and service at Calle Ocho four weeks in a row. 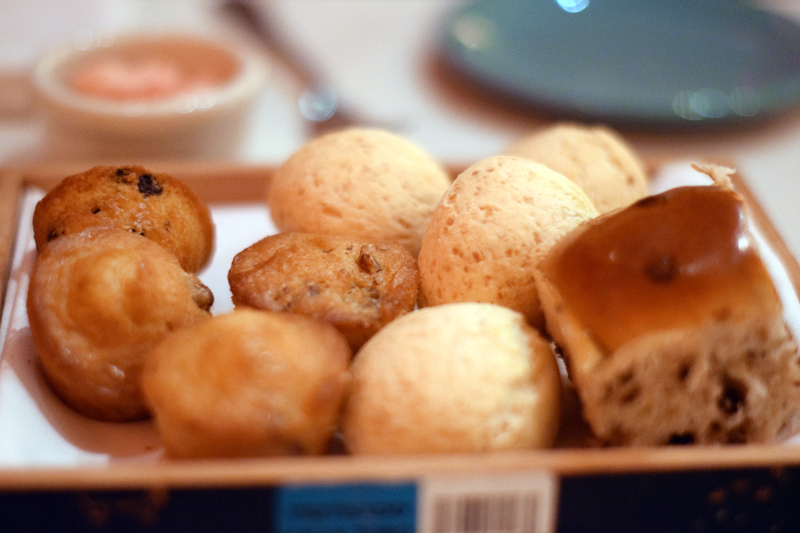 It is really rare to find a boozy brunch that has high quality (READ: non-watered down) drinks, complimentary delicious bread baskets, consistently good food, and attentive customer service. Calle Ocho manages to provide all three despite a huge dining room, a free-for-all bar area, and a reservation list booked at least a month or so in advance. Calle Ocho has a list of eight sangria to choose from–four reds and four whites, listed from sweetest to least sweet. I would recommend sticking to either red or white if you plan on making it through the rest of the day without a massive headache (besides, with four options for either, you have more than enough to choose from). My personal favorites are Fresas, Spanish Harlem, and Roja. As I mentioned earlier, I have ordered the same thing at Calle Ocho for four weeks straight. Why you ask? I can assure you that there is no better combination. The tomatoes and onion underneath the avocado serve as a pico de gallo that pairs well with the rice and steak. 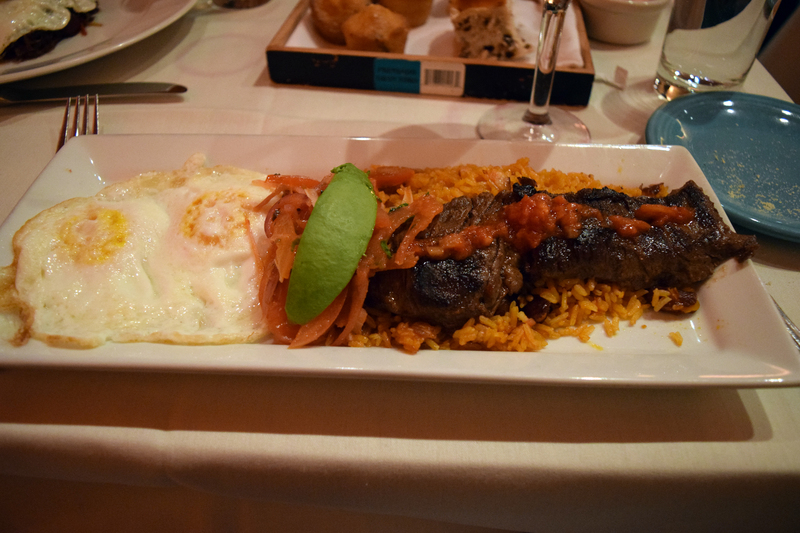 The rice, egg, and meat go perfectly together, and provides just enough food to soak up the ridiculous amount of sangria you’re going to digest. The Ropa Vieja is the dish my friends always seem to order. 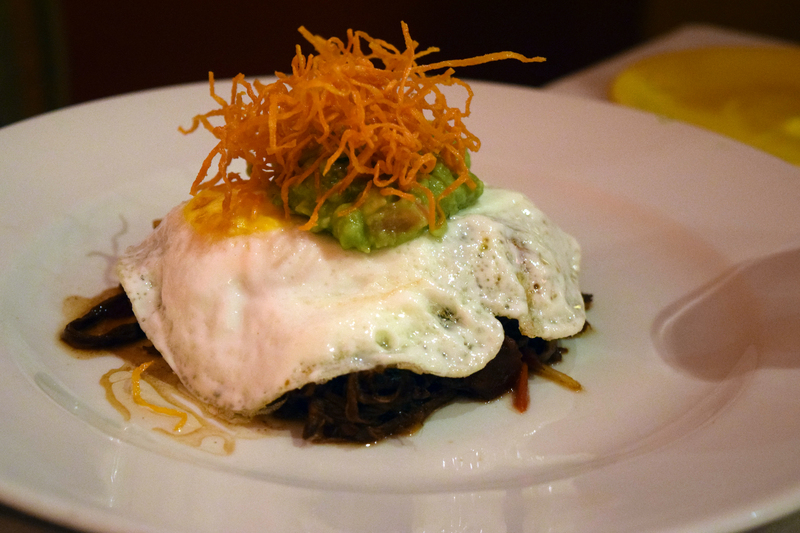 Something about a fried egg, avocado, crispy sweet potatoes with a ropa vieja hash seems to speak to them. 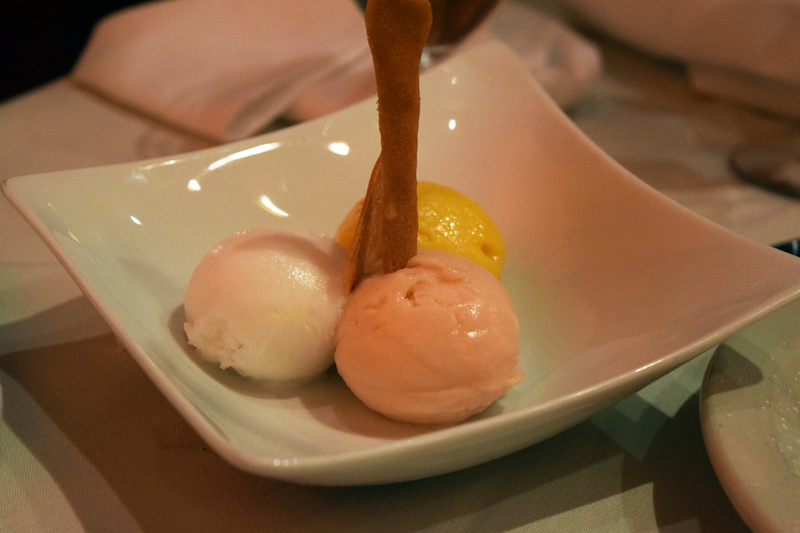 I can assure you that this dish is equally delicious. However, despite all the delicious food and drink that Calle Ocho brunch offers, the one thing I had not tried before was dessert. 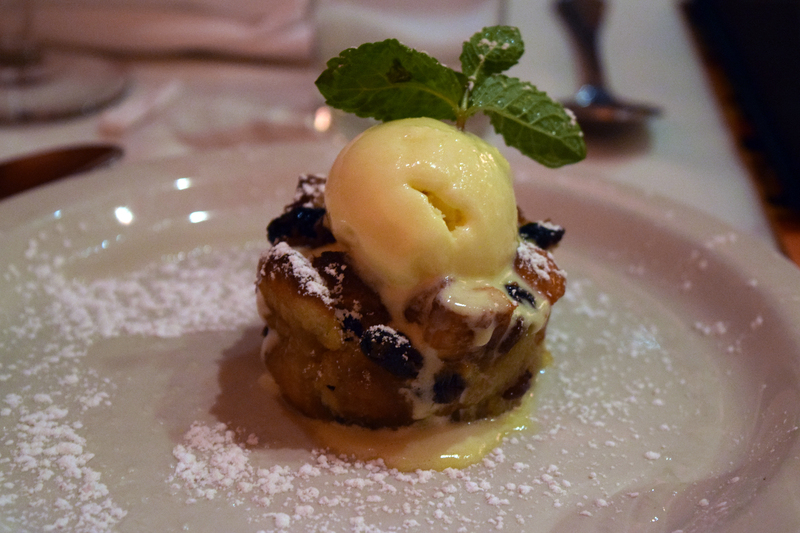 Our fantastic waitress presented us with the dessert menu, and I immediately knew what I had to order–the bread pudding while my coworkers went with the sorbet. I tried both, and clearly, I picked the better option. I knew Calle Ocho wouldn’t let me down. Have a favorite boozy brunch in New York? Share your recommendations below!